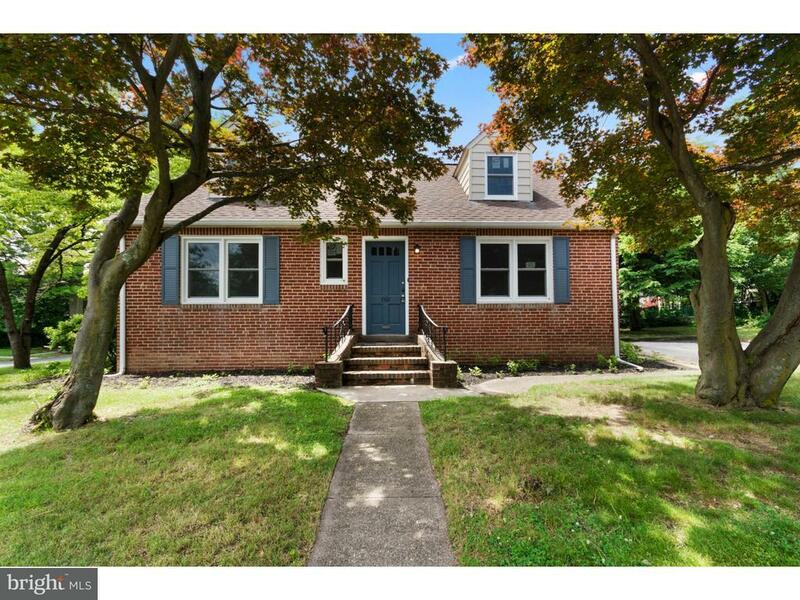 This 4 bedroom, 2 full bath cape is located in desirable Haddon Heights. The property sits on a corner lot with a side yard and large driveway. Side yard can easily be cleared and fenced to make a nice outdoor space. The living room features hardwood floors, recessed lighting, and an open floor plan into the kitchen and dining room. The dining room has been opened up for easy access to the kitchen. The newly remodeled kitchen offers new cabinets, granite counter tops, stainless steel appliances, pendulum and recessed lighting, as well as a grand island that is the center point of the entire first floor. The family room is located in the fully finished basement and includes a convenient second bathroom making this space truly functional at every level. The first floor also includes 2 bedrooms and a fully renovated bathroom. Additionally the 2nd floor has 2 large additional bedrooms with built ins for plenty of storage. The basement boasts a separate laundry area and lots of storage space. The exterior of the property completes this amazing home with a driveway for off street parking. The following have been updated recently: bathrooms and kitchen fully remodeled and brand new, new panel doors, fixtures, outlets, switches, carpet, paint throughout. Nothing has been left untouched. Located conveniently to all major highways, Philadelphia, New York, and Atlantic City. Also convenient to down town Haddon Heights, restaurants, shopping, parks, and schools.